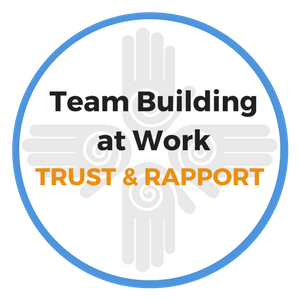 Receive team building exercise examples that help with retention and growth of your best team members when you download our free eBook, Team Building At Work. Retention of quality people is a continuous challenge for leaders. Use our team building activities to build strong connections among team members. People don't quit companies, they quit their supervisor. 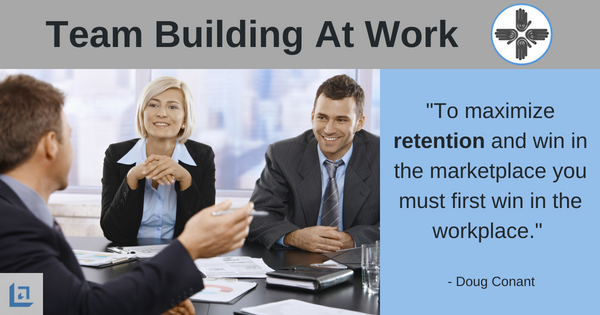 Great leaders know that employee retention is key to your team's success so it's critical that you invest time in your people. If you fail to do this, it's only a matter of time before you lose your top people to the competition. It's important to take balanced approach when coaching team members. On one hand there are important goals to meet and you must hold team members accountable for producing quality results on a consistent basis. However, there is a personal side that must also be nurtured in order to maintain a strong sense of loyalty and trust. Your people need to know that you have their best interests at heart; that you have a personal stake in their future success; and when personal issues arise you do what you can within reason to support that individual as they work through the issue. While it's not appropriate for a leader to get overly involved in the personal lives of team members, it is important to help people come up with balanced solutions when personal issues get in the way of professional responsibilities. "When you have balance in your life, work becomes an entirely different experience. There is a passion that moves you to a whole new level of fulfillment and gratitude, and that's when you can do your best... for yourself and for others." 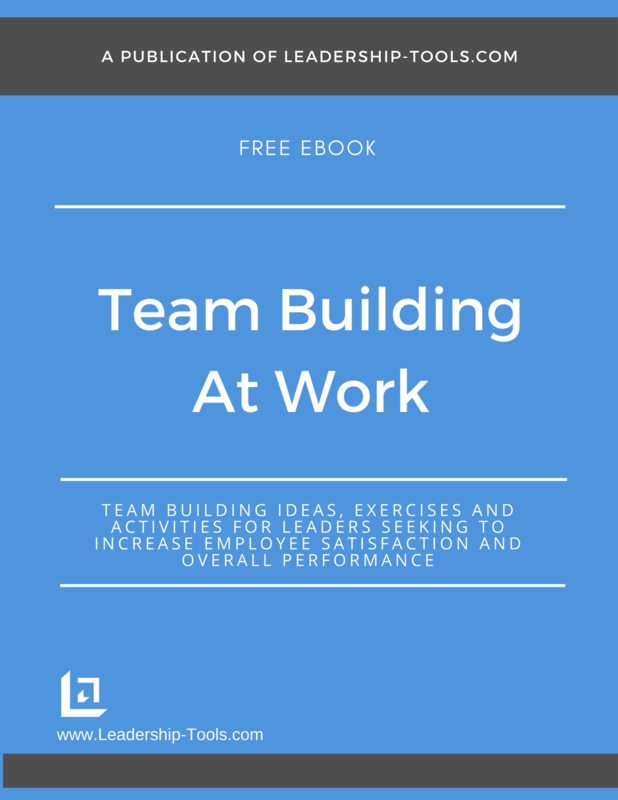 The team building exercise examples provided in this chapter help leaders to increase employee retention in the workplace. As you read these team building ideas, consider how you can leverage each exercise to create a stronger connection among your team. As a leader, you hold the power and the responsibility to look after your team. In the words of Woodrow Wilson... "You are here to enrich the world, and you impoverish yourself if you forget the errand." Leadership involves teaching your people about the bigger picture; about how to properly respond to life's challenges and how to recognize how to make good quality choices in when faced with unexpected challenges. Read each team building exercise example below and consider introducing an activity to your team as your next staff meeting. Purpose: This is a great team building exercise example that is fun and memorable for your entire time. Demonstrate the power of working together as a team and how teamwork creates momentum that can take the team to new heights at a faster rate of speed. Explanation: Most folks know that once you experience momentum toward reaching a goal, the outcome seems inevitable. The process quickly becomes more fun, and with a stronger sense of confidence life in general feels more rewarding. Take four(4) large water bottles filled with water. Identify two (2) team members and have them compete to find out who can pour out the entire contents of their bottle the fastest. Assign a timer for each participant. When finished, log their respective times and ask the team to discuss ways to increase the effectiveness of pouring out the contents more quickly. Now if one of your team members makes the suggestion to swirl the liquid, let that person take your place in the 2nd round. It doesn't matter who wins, what matters is how they win. Let that individual shine with their winning idea. Your other volunteer can try out the best idea that was created, so long the idea doesn't support cheating or damaging the bottle in any way. As the above video illustrates, right as you start pouring out your bottle, quickly swirl the liquid in the bottle and you will find that with MOMENTUM, your bottle will pour the liquid out twice as fast as the one without momentum. The lesson here is that by working together as a team, with everyone moving in the same direction, the team gains momentum and is better positioned to complete tasks more quickly and produce greater results. Later, as you work with your individual team members, remind them about the power of creating momentum in their career planning by being proactive in learning new skills and expanding their knowledge base. This is a great way to create loyalty, employee satisfaction and team member retention. Purpose: A fun team building exercise example that leaders can use in their meetings to retain team members. Encourage your employees to take time to appreciate what they've accomplished and also to invest time to properly plan for their future. Explanation: Leaders provide valuable insights to their team by encouraging them to take a step back from time to time to assess their own reality. It's so easy to forget to take stock in what the individual and the team has achieved over the past year when there is so much going on. It's important for leaders to take the time to remind their people of what's been accomplished and to ensure key contributors are recognized and feel good about those important achievements. Leaders must be sure to highlight what's been achieved and create a moment for their team to soak in the rewards of feeling valued for what they do. Moreover, you can encourage your team members to take a moment to reflect on what's important to them in their personal lives, and to just "be grateful" for all that we have, all those whom we love, and for all the wondering opportunities that the future holds. "All the money in the world by itself will never make you happy, it is the successful balance of personal achievements and quality relationships that seem to do the trick." As most of us come to work each day, we sit down and plan our day. We then set out to complete and check off our "to-do" lists. However, how often do we sit down and purposefully plan our work, let alone our life? Leaders should remind their team members to ask the following three questions to ensure they fully leverage their time and resources. What is the business outcome(s) that I must achieve in order for this day/month/year to be successful and fulfilling? What specific steps must I take in order to achieve the outcome(s)? Key message for this exercise: Take the time to plan your life, not just your day. By going through the above team building exercise example, your people will quickly realize how effective (or ineffective) they've been at owning their outcomes. There is another tremendous benefit you receive by taking your team through this activity. Your people will see that you are making an effort to add value to their life, both personally and professionally. That effort goes a long way towards gaining employee's loyalty and trust - and that is directly tied to increased employee retention. To download our free Team Building At Work eBook, providing team building exercise examples, activities and strategies, simply subscribe to our free newsletter. You will immediately receive a password that grants access to our entire leadership tools library.